In the major advanced economies a large gap has now opened between profits and investment. Figure 1 shows the pattern for the United States and it is worth close study. The data are from the Federal Bank of St Louis and derived from the US National Accounts. It may seem strange that investment, as shown here, is so much higher than profits. E.g. 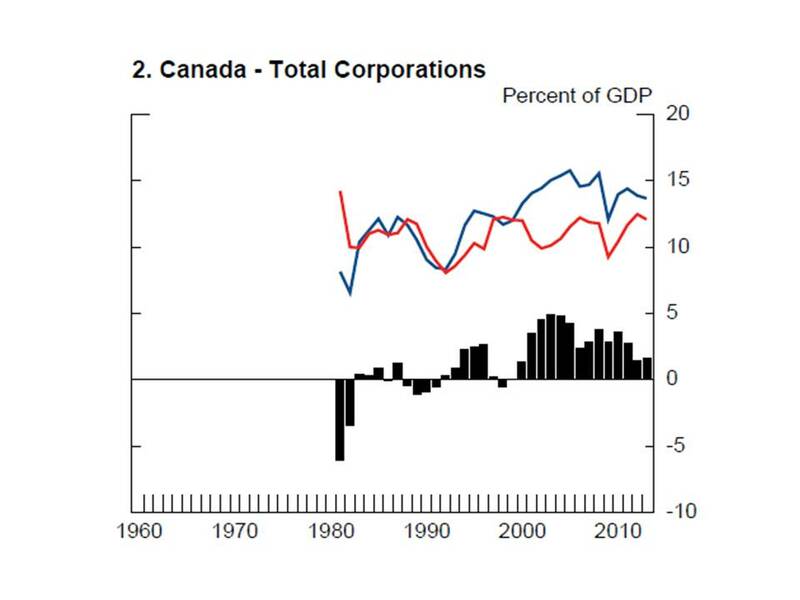 in 1993 when the data starts, profits are 4 per cent of GDP (left hand scale) but investment is more than 11 per cent of GDP (right hand scale). But the figures are for net profits (after depreciation and taxation); but investment is gross (i.e. includes depreciation). Also, I use GDP here as if it were the same as gross domestic income. Thus the comparison made here between profits and investment can only be approximate – but instructive nevertheless. Figure 1. Profits and Investment as a Percentage of United States GDP, 1993-2013. Until the early 2000s the mass of profits and associated investment levels were closely correlated – just as Marxists would expect. They were rising neatly in tandem in the mid-1990s. Then there was a fall in profits in 1997, but a drop in investment duly followed a couple of years later. However in the early 2000s, the pattern began to change. The surge in profits in the recovery from the dotcom downturn was certainly followed two years later by a rise in investment – but one which was comparatively subdued. The proportion of profits not reinvested was beginning to rise. When profits crashed in the crisis of 2007, again investment tumbled two years later. But notice, first, the remarkable fact that, though the crisis of 2007 was far more severe than the dotcom crisis of 2000, and devastated the US financial system – nevertheless the impact on the profits of the non-financial sector in the US was much less than would have been expected. From a previous peak of 6.5 per cent of GDP in 2006, profits in the non-financial sector fell only by 2.5 per cent of GDP to 4 per cent in the 2008 downturn. Compare that with the deeper fall to 3.5 per cent of GDP in the downturn of 2000. What everyone rightly refers to as the deepest economic crisis since 1929 had actually a relatively limited impact on the profitability of the US industrial sector. In addition, the recovery in the mass of profits after 2007 was speedy and dramatic. 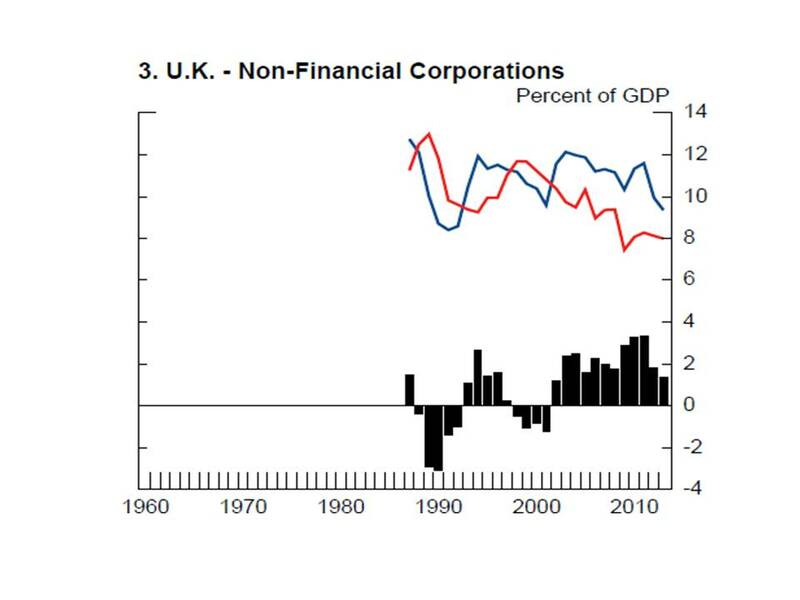 By 2010 the proportion of profits in GDP was back to the peak figures reached in 1997 and 2006. This rise then continued on to a new peak of over 7 per cent of GDP in 2014 – in many estimates, the highest level reached since 1945. Profits remained at about that level through 2015. There are signs that a fall is beginning in 2016 – but 1st quarter earnings of US non-financial companies were still not much less than an annualised 7 per cent of GDP. However the profits surge after 2007 was followed two years later by only a limited recovery in investment. By 2013 it was still less than 12.5 per cent of GDP – compare a peak of 14.7 per cent in 2000, and 13.5 per cent in 2007. A very large disconnect between profits and investment had developed. 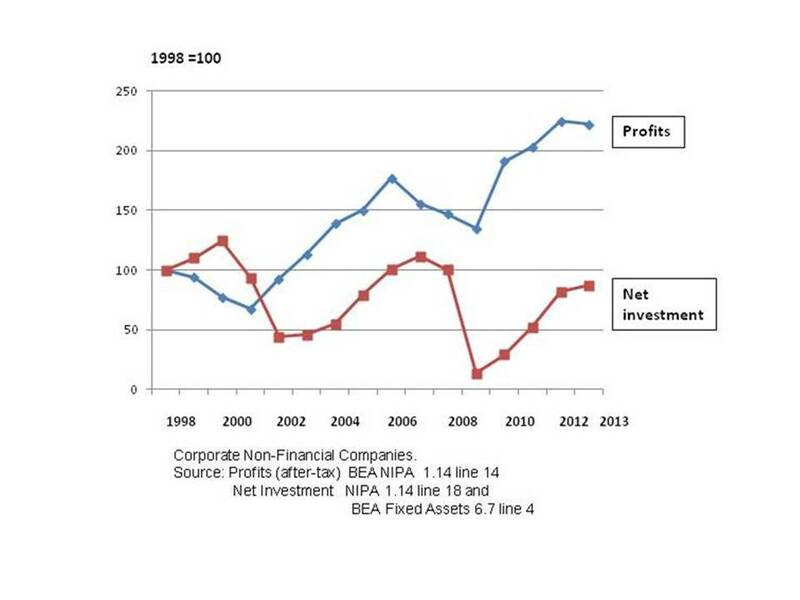 To show more clearly what has happened, in Figure 2 I have recalculated US National Accounts data – setting the 1998 figures for profits and investment at 100 – and comparing the investment figures for each year with the profits total for two years earlier. Figure 2. 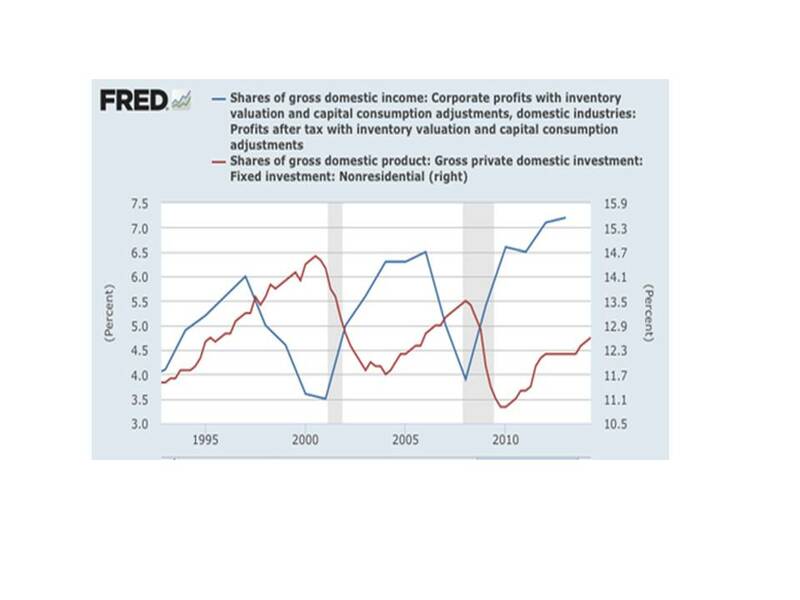 Profits and Lagged Investment in the US, 1998-2013. Investment began to lag profits in 2001. The size of the lag remained quite large through to 2009 – and then widened enormously as investment lagged the rise in the mass of profits over the past seven years. The data above confirm the Marxist proposition that there is a clear connection between profitability and subsequent investment. In a future post I will review a number of recent empirical studies which show that realised profits are a major causal influence on investment. However, there are other forces and factors which have an influence on investment levels. It is also the case that the correlation between profits and investment is not fixed, but varies over time – as is evident over the 20 year period we have been looking at. There cannot be a closer connection in the capitalist system of production and exchange than that between profits and investment. The rise and fall in profits and profitability drives the rise and fall in investment. There is an essential truth here, but the point is greatly overstated. It is not because profits have fallen that investment levels have been lagging since 2001 – and increasingly so. Apart from the temporary downturn of 2007, profits have been on the rise as a proportion of GDP since 2001, until the stabilisation in 2015, and (so far) a marginal fall in 2016. Roberts and others will point out that in this post I have been dealing with the mass of profits as compared with the mass of investment. Their argument is that it is the rate of profit (not the mass) which determines investment. But the rate of profit also rose in the US in 2009-15. The large rise in the mass of profit which occurred would only have produced a fall in the rate of profit if the total stock of capital advanced had been increasing even faster. But it is precisely the lagging level of investment in this period which has made a large enough rise in the stock of capital highly implausible as a matter of simple arithmetic. A slow-down in investment means a lower rate of capital accumulation. Past profitability is the most influential of the elements which enter into the current investment decisions of companies. But apart from investment in new productive capacity, there are many other ways in which companies can use available capital to increase future profitability. To take only one example, companies may choose to use profits to build-up cash reserves in order to increase their firepower in the highly competitive market for corporate control. Mergers and acquisitions [M&A] have continued to run at high levels in recent years. Companies are spending large proportions of their profits in buying up their competitors and seeking profits through rationalisation to cut costs and limit competition by an increase in their control of markets. to reorient the prioriies of large companies, to force them to expand the hard way by hiring staff, taking new premises, advertising and buying equipment, rather than buying a competitor and doing the opposite in the name of cost-cutting and greater efficiency… Restricting takeovers might also prompt a resurgence for stock-picking, forcing shareholders to search for the real operators and innovators. Activist investors would have to do more than just champion M&A deal making. But the present M&A system is highly profitable for the investment banks which set up and implement takeover deals. They, and the companies directly active in the takeover market in corporate control, are able to deploy their immense political lobbying power to block such regulation. So far I have looked only at US data. 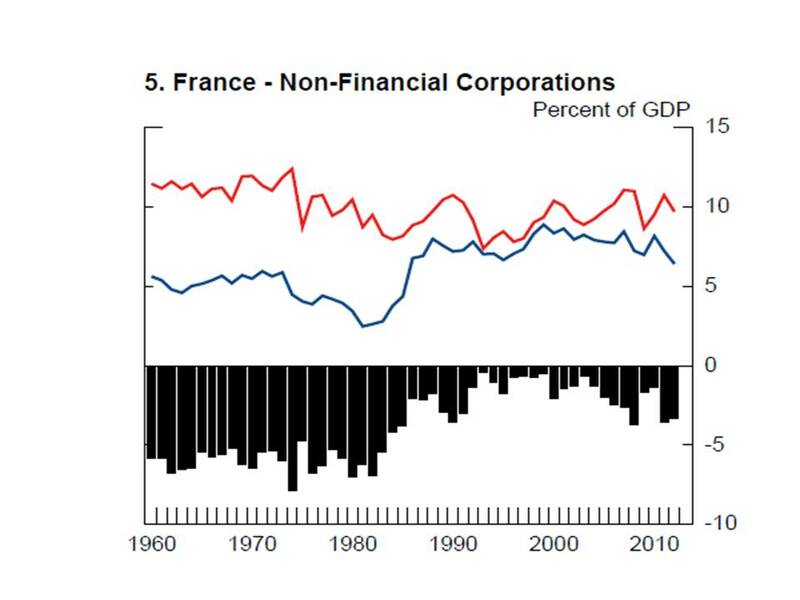 The profits-investment disconnect, and the consequent accumulation of corporate reserves, has developed in several other major economies in the post-2000 period. Figure 3 below is drawn from a useful study by Gruber and Kamin of what they call the current corporate saving glut. They show that three other G7 economies share the US pattern of exceptionally high levels of build-up of cash reserves. 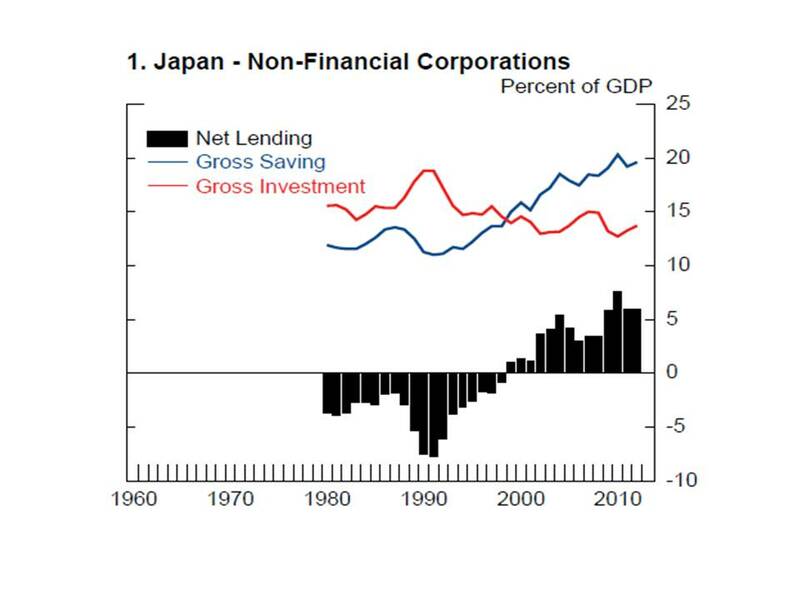 Since 2000 the corporate sectors in Japan, the Canada and the United Kingdom have been net lenders to the rest of the economy on a very large scale. In most years since 2000 by between 2 and 5 per cent of GDP. 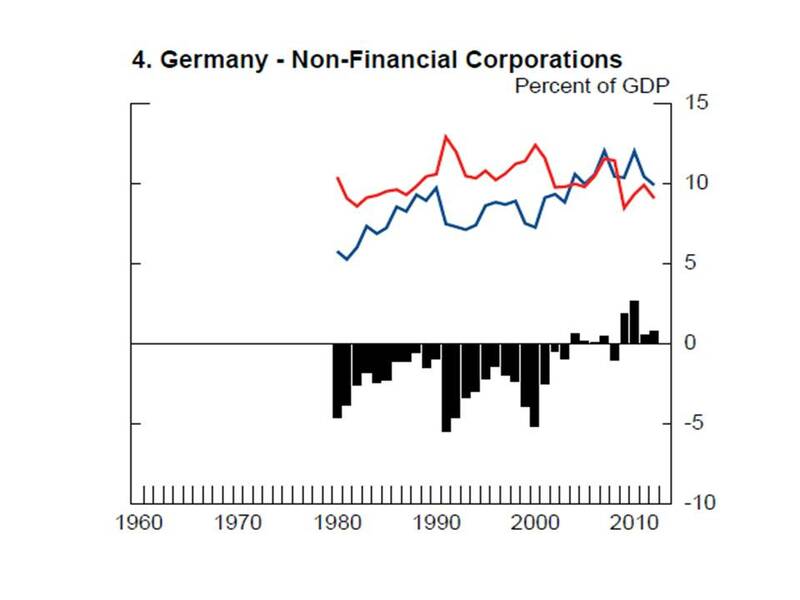 Germany has also switched to being a net lender, though later and to a more modest extent. 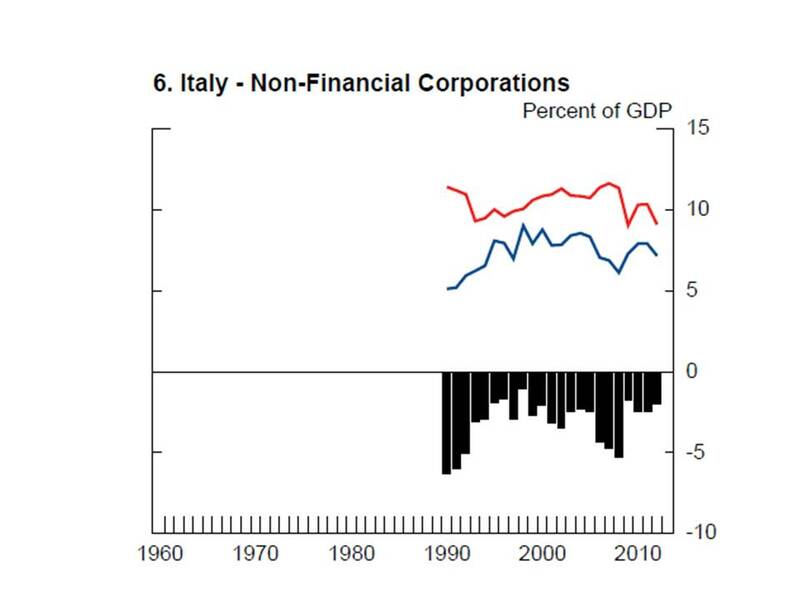 Only France and Italy still conform to what historically has been the norm – the corporate sector drawing on net capital supplied by other sectors. It is sometimes argued by Marxist economists that, apart from a general fall in the rate of profits, other diagnoses of the nature of the current crisis are amenable to reformist solutions. This is not the case. The crisis of accumulation which confronts the system today is profound and intractable. In summary: a severe structural problem of lagging investment in new capacity, despite adequate profitability and the very low cost of capital, given that basic interest rates are near zero in many countries.